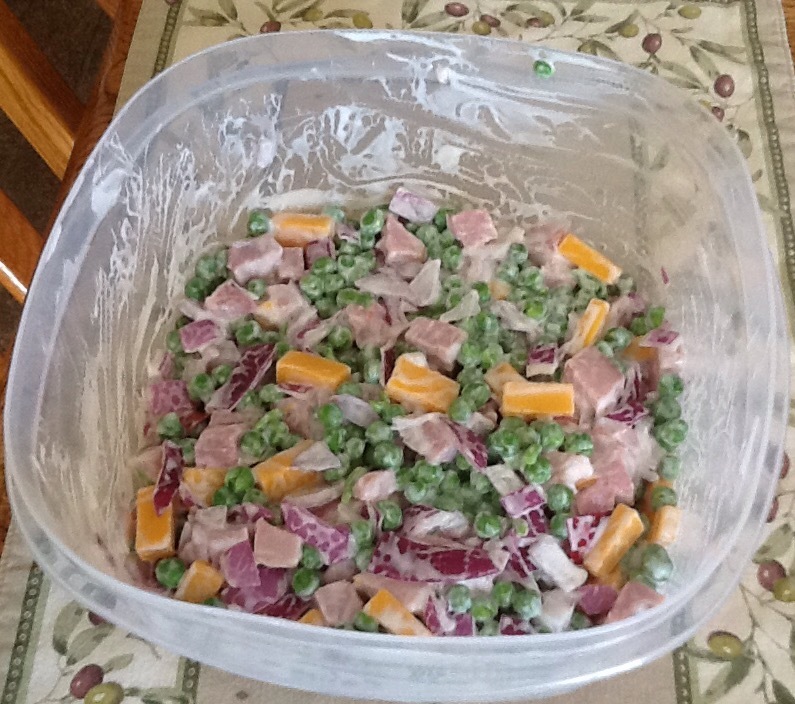 A decade ago when we lived the Sonoran Desert and the heat was starting Barb often prepared a Summer Salad – frozen peas, diced ham, diced cheddar, chopped onion, and Ranch dressing. This morning she has prepared a Summer Salad. After snapping this photo she placed it in the refrigerator to chill for lunch.